The words of Jesus are full of truth and insight but the story told about his person is full of contradictions. This does not mean we have to reject the story, it becomes a question of how we use it. At one level it can be seen as presenting God as cruel and unforgiving or trapped by a cruel law which demands the death penalty for imperfections and Jesus dying on our behalf. But we don’t see God as cruel or powerless so we must see the story not as a literal truth but as pointing to a truth. For me the crucifixion symbolises God participating in our suffering. Not standing above us but with us and in us, this is what the Christ means, God and Man standing together, as one. God not taking the Cup of suffering away but sharing it with us and making our suffering a sacrament. Often when I see stuff about Jesus on Facebook I respond. Jesus was an enlightened teacher and I am fascinated by the pithy style of his teaching though not agreeing with what is taught about his personal divinity.. The religious of his time (and ours) were big on judging and condemning and short on forgiving. Jesus pointed out that everyone sinned you don’t have to be a murdered if you are angry, call your brother ‘fool’ that is on the same continuum of sin. This is what Jesus meant when he said “Think not that I am come to destroy the law, or the prophets: I am not come to destroy, but to fulfill.” He was not concerned with what people did so much as with the intent and we all have ill or evil intents so don’t bother judging one as worse than another just stop judging and start forgiving because judging makes you both guilty under the fulfilled or complete law while forgiveness restores innocence to both you and the other. Forgiveness, interestingly, completes not only the Mosaic law but also the law of karma that we reap what we sow, since sowing forgiveness reaps the same. Worth noting too that if you don’t judge you can’t condemn and if you don’t condemn then you have nothing to forgive anyone for. This gives you a purity or innocence. Of course none of us actually has this but this is the path. Same as Jesus, underlying written rules or laws is the principle of justice, underlying this is kindness, underlying this is your virtue or sense of decency or rightness and underlying this is the Way, the Tao, submission to the will of God or Heaven ‘without a preference’, without requiring anything to be other than it is. And this too is forgiveness, when we not only forgive others for being what they are but forgive God and the whole of existence and love everything just as it is, unconditionally. 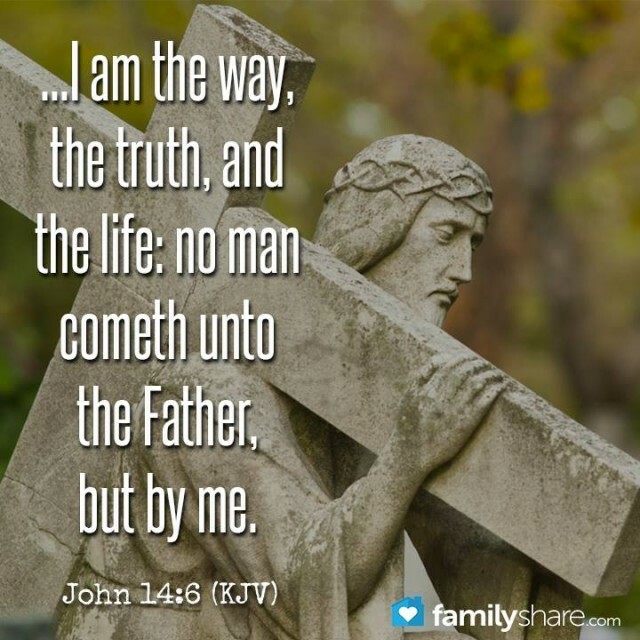 The only way that I can understand this is to think that if Jesus said it he was referring to the way, the truth and the life in each of us and all of us. He would have been saying that the Light, the Christ is in all of us not just him. Jesus did not invite us to worship him or to look to him for salvation, he invited us to follow God’s will. He told us to look within ourselves and amongst ourselves for the Kingdom of God. (Luke 17:21). Knowing and doing the will of God expresses the Christ within us and makes us brothers and sisters of Jesus and of each other as Children of God (Matthew 12:49).